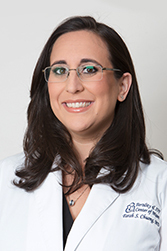 As a native of Miami, Dr. Chuong was thrilled to return home when she joined the Fertility & IVF Center of Miami in 2016, to help couples fulfill their desires to become parents. She earned her undergraduate degree from Florida State University in 2004 and her medical degree from the University of South Florida in 2008. Dr. Chuong continued her medical education at the University of South Florida where she completed her residency in Obstetrics and Gynecology and served as Chief Resident. Following the completion of her residency, Dr. Chuong worked as a general OBGYN with a focus in Reproductive Endocrinology and Infertility. She then completed a fellowship at Johns Hopkins University in Baltimore, Maryland. Dr. Chuong’s areas of clinical interests include fertility preservation, in vitro fertilization, and the medical and surgical treatment of infertility. Dr. Chuong is a Diplomate Certified by the American Board of Obstetrics and Gynecology, subspecialty in Reproductive Endocrinology and Infertility. Additionally, she is an active member in numerous national scientific societies including the American Society for Reproductive Medicine (ASRM), the Society for Reproductive Endocrinology and Infertility (SREI) and the American Congress of Obstetricians and Gynecologists (ACOG). Dr. Chuong enjoys family time with her husband and two kids. As a family, they enjoy traveling and experiencing different cultures. She also loves football – particularly Florida State Seminoles and the Miami Dolphins.